Deborah Elmquist is both a self taught and classically trained contemporary-representational realist artist with many years of experience as an oil painter and art educator. Although born in the Florida Panhandle, Deborah's personal and family roots run deep in the foothills and small towns of North Carolina. Her early two art series, Painting the Memories of My Life and Painting the Threads of Life, are both based upon her life experiences growing up on and near the small family farm in North Carolina. 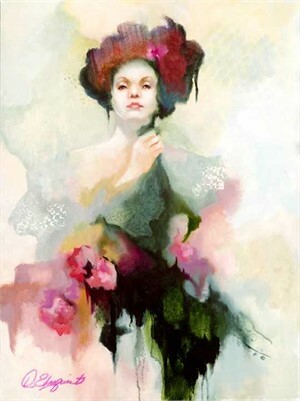 She began her formal study of fine art at Orlando College with art Professor Ralph L. Bagley (a long time Winter Park, FL resident, artist, and teacher), but she cannot remember a time in her life when she did not draw and paint, working to become the artist she is today. Deborah received a Fine Art degree from Orlando College, a Bachelor of Art degree from the University of South Florida, a Masters degree from Rollins College (Winter Park, FL), and her Doctorate degree from the University of Florida (Gainesville, FL). In addition to her formal education, Deborah studied with noted artists Greg Kruetz, Joshua Fallik, Sadie Valerie, and Michael Siegal, among others. She is always working to improve her painting skills and technique. 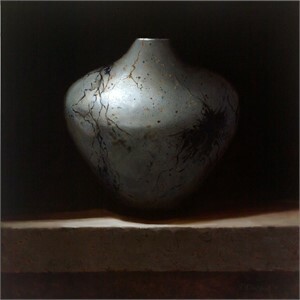 Deborah’s works of Contemporary-Representational Realism are held by national and international collectors. In addition, her art work is held by Volusia County Art in Public Places, and by the Museum of Art and Science of Daytona Beach permanent and loan collection. Deborah's work is represented by selected prestigious fine art galleries (see the Gallery page for details). Deborah is a member of Oil Painters of America (OPA) the Portrait Society of America (PSA), and the Art Renewal Center (ARC), among other organizations. Deborah Elmquist is both a self taught and classically trained contemporary-representational realist artist with many years of experience as an oil painter and art educator. Although born in the Florida Panhandle, Deborah's personal and family roots run deep in the foothills and small towns of North Carolina. Her early two art series, Painting the Memories of My Life and Painting the Threads of Life, are both based upon her life experiences growing up on and near the small family farm in North Carolina. 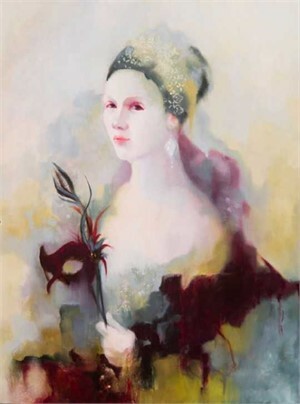 She began her formal study of fine art at Orlando College with art Professor Ralph L. Bagley (a long time Winter Park, FL resident, artist, and teacher), but she cannot remember a time in her life when she did not draw and paint, working to become the artist she is today. Deborah received a Fine Art degree from Orlando College, a Bachelor of Art degree from the University of South Florida, a Masters degree from Rollins College (Winter Park, FL), and her Doctorate degree from the University of Florida (Gainesville, FL). In addition to her formal education, Deborah studied with noted artists Greg Kruetz, Joshua Fallik, Sadie Valerie, and Michael Siegal, among others. She is always working to improve her painting skills and technique. When describing her paintings, Deborah explains, “As a contemporary-representational realist artist working in a Tonalist style, my goal is to capture the essence of a person, the feeling of a place, and the effect of light as it falls on the scene. But more than the obvious, I paint what I call the invisible threads of life; those things, those places; those characteristics of a person; the “thing” we feel that is invisible yet connect us together as people emotionally. Rather than rendering subjects literally, I use the classical techniques of my craft as painter to interpret and express my vision of them. 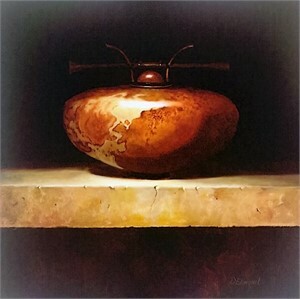 I have succeeded in my goal when the beauty I see in someone or in something is found and expressed as a fine work of art in such a way that the viewer drawn to the painting and is captured by it!”Deborah’s works of Contemporary-Representational Realism are held by national and international collectors. In addition, her art work is held by Volusia County Art in Public Places, and by the Museum of Art and Science of Daytona Beach permanent and loan collection. Deborah's work is represented by selected prestigious fine art galleries (see the Gallery page for details).Deborah is a member of Oil Painters of America (OPA) the Portrait Society of America (PSA), and the Art Renewal Center (ARC), among other organizations.